To entertain visitors, the Inverness Royal British Legion Pipe Band performs in Inverness High Street every Tuesday from 8pm until 8.30pm (usually from end June until early September). You are likely to see a piper or other musicians busking in the streets of Inverness and sometimes other entertainment around the Eastgate shopping centre. Pubs for traditional Scottish Music include Hootananny / Mad Hatters (Church Street), MacGregor's (bottom of Academy Street), and the Gellions (Bridge Street). There's often live music atJohnny Foxes (Bank Street, overlooking the river), Encore Une Fois (in Young Street just over the bridge), the Market Bar (Church Street), The Tooth & Claw (tucked away in Baron Taylor's Street), as well as The Dog House (opposite the post office in Queensgate). MacNabs at the Columba Hotel on the river has live music on Saturday nights. Piano music at weekends in the bar at the Glenmoriston Hotel on the riverside. For ceilidhs, try Hootananny on a Saturday afternoon. The invernessGiGs web site includes music news, events listings, reviews, etc. The Ironworks Live Music Venue at 122b Academy Street features concerts in all genres of music. Tel: 07787 535306. 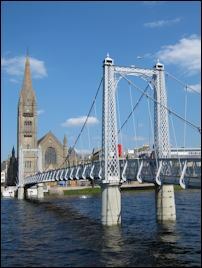 What's Happening Inverness Facebook page is another good source of local entertainment and activities. Vue is a cinema multiplex a couple of miles outside the city centre. Concerts and other spectacles take place at Eden Court Theatre (near the cathedral on the river). For art events, The Castle Gallery at 43 Castle Street (tel: 01463 729512) has exhibitions of original contemporary fine and applied art. The Farmers' Market is held on the first Saturday of each month (except January), with stalls of local produce (meat, fish, fruit, vegetables, cheese, homebaking) in the Eastgate pedestrian area of Inverness city centre. On Sundays there's a car boot sale at Tulloch Caledonian Stadium from March - December. 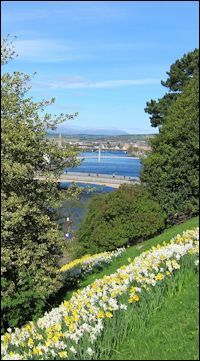 The Inverness City Advertiser - detailed events listings covering music, nightclubs, cinema, theatre, sports, exhibitions, restaurants, etc. 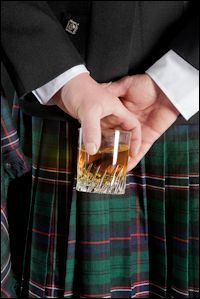 13 April: Inverness Whisky & Gin Festival - food, music and drink! 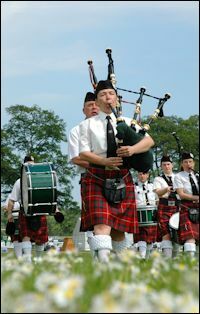 29 June: European Pipe Band Championships in Inverness for the first time - the biggest piping event in the Highlands! 27 July: Nairn Show with livestock exhibitions, craft fair, food stalls and amusements is held at Kinnudie Farm, Auldearn. 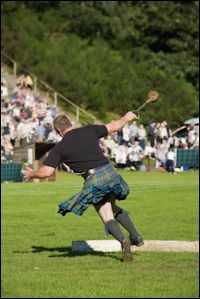 31 July - 1 August: Black Isle Show at Mannsfield Showground, Muir of Ord (tel: 01463 870870). This is the largest agricultural show in the North of Scotland. It attracts over 2,000 cattle, horse and sheep entries, more than 300 trade stands and over 25,000 visitors to the show each year. There is plenty to see and do, craft fair, food fair, 'On the Farm' exhibition for the kids, agricultural stands, vintage rally and sheep shearing. 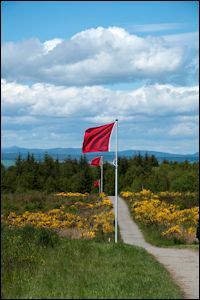 1 - 3 August: Belladrum - Tartan Heart Festival on the Belladrum Estate, by Beauly. Family-orientated outdoor festival of rock, country, blues and world music. 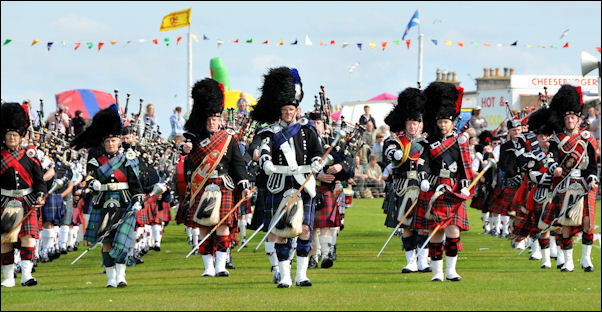 2 - 3 August: Highland Field Sports Fair at Moy Hall (between Aviemore and Inverness). early September: Blas Traditional Music Festival (various venues around the Highlands) - culminating in a huge concert in Inverness on Saturday 15 September with young musicians and singers performing alongside Skipinnish and Trail West. September / October: Highland Archaeology Festival - events throughout the region. 6 October: Loch Ness Marathon plus 5K and 10K River Ness fun runs. 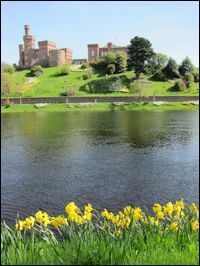 Inverness will be hosting the Gaelic Royal National Mod from 9 to 17 October 2020 including a Torch Light Procession on the 9th and Massed Choirs Procession and Show at Inverness Castle on the 17th.